Learn to corner and everything which comes along with it on a parking lot? 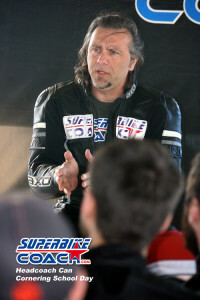 !… You’ll be excited about our Cornering School Day’s; This is good for ALL rider levels and ALL bike types. Master skills to corner/survive in the most realistic and safest environment you possibly could be in. 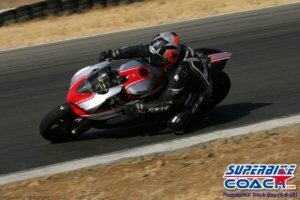 We will teach you very specific MotoGP riding techniques, like trail braking and much more. 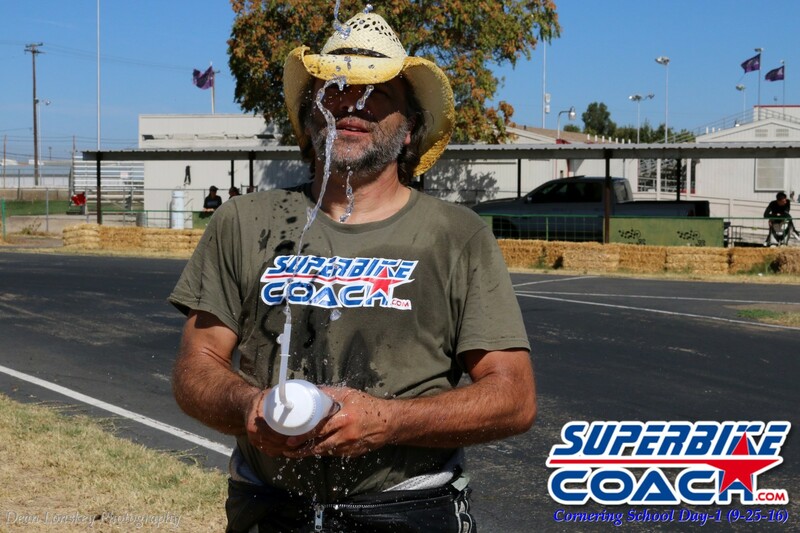 In cooperation with the Little 99 Raceway in Stockton we have a facility in central California to offer rider coaching on a high level- for a low price. Other schools using the word “advanced”- Superbike-Coach does advanced! All survival skills for daily riding on public roads are right here. 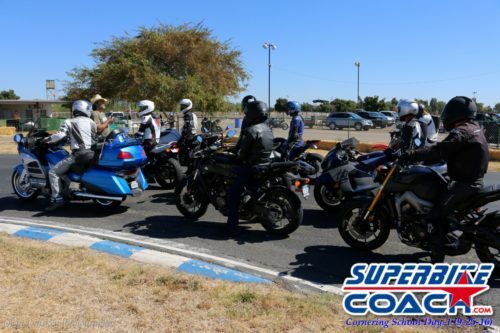 The Stockton Little 99 Raceway is a perfect place to learn because it has everything you have to face on public roads, from tight turns to the sweepers… it’s just more forgiving than a public street. 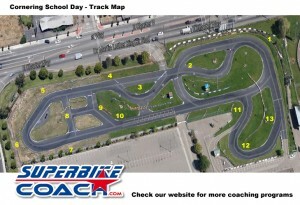 Our track allows us to change layouts to give you more challenges. Also, our classroom area is perfectly set for the purpose of making you a better rider! Riding and learning on a track was never more reasonable. This service suits street riders who wants to learn best-riding techniques, or are up to do their very first track day. 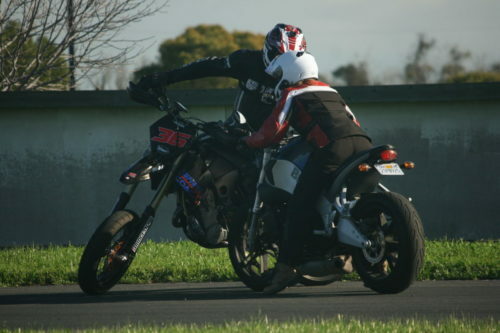 Ordinary track days never provide step-by-step instruction. You are on your own! 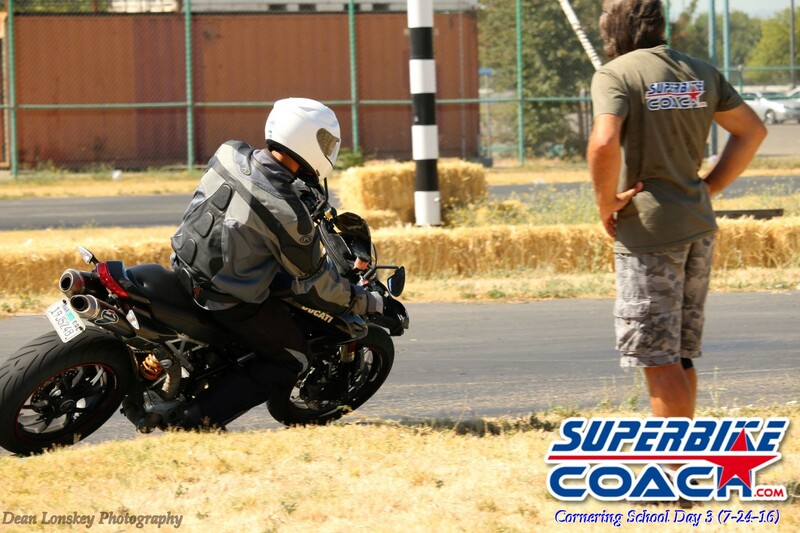 Our “Cornering School” will provide step-by-step instruction for street riders and track riders. The class starts at 9:00am and ends at about 4:00pm. Our photographer makes FREE of charge sport photos, and we’ll bring water and snacks. The best riders on this planet are in MotoGP- but more important- we know exactly what these guys do and how to transfer it to you. MotoGP riders are extremely good with the basics, so that we think what’s good for them- is good for you. 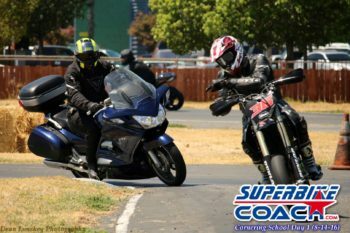 ‘Cornering School – Day 1’ teaches you essential basics, but don’t think that this is for “beginners only”- no, this is just the first part of your journey with us! 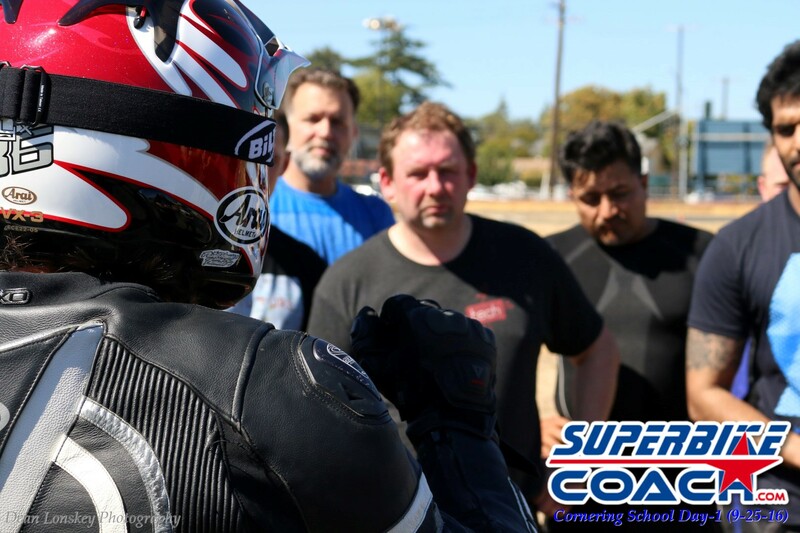 The elements of ‘Cornering School – Day 2’ build up your new rider skills you’ve accomplished- and ‘Cornering School – Day 3’ is designed for those CSD-2 students whom really wants to learn to go fast by gaining safety. If you’ve mastered all three days, and your riding purpose is to do track days or even to race- then our all new ‘Day 4’ class is waiting for you! It’s not skill level- and it’s not required to got through all three days, but each day is a will round up your learning curve dramatically. We have plenty of dates to pick from, so you have time to settle subjects, and gives us the chance to monitor your progress. 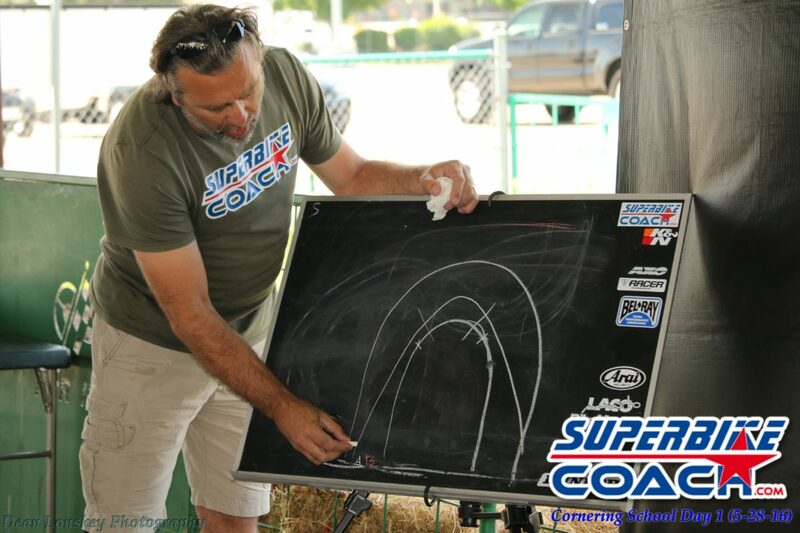 We do either sideline or on the bike coaching while you do tasks on the Little 99 Raceway. This is not for speeding- this is how to find a smooth balance from entry to exiting corners, and to approach them with confidence. The coach observes and makes ‘adjustments’ step by step. If you want your coaching more personalized- this program is also available as 1on1 or for small groups. The scheduling is also individual, but during weekdays only. The coaching fee depends on headcount: 1 $279, 2 $260, 3 $240, 4 and up $220. There will be also a additional track fee which will be divided by headcount. 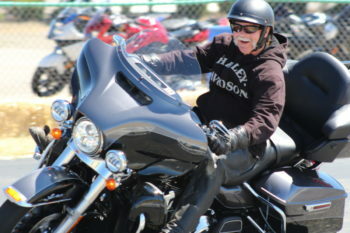 We can also set up complete classes for your motorcycle club, dealership, or riders of your company. Click here and let us know your plan to set this up. Day 1 will harmonize your bike control with body and soul. Days 1 and 2 are steps, NOT levels, which are important for even very experienced riders. Headcoach Can will sign your Certificate of Completion, which qualifies you for Day 2. You decide when to move on with Day 2. There are plenty of dates all over the year. After you’ve graduated day 2, you’ll finish your learning journey with Day 3 and receive our Superbike-Coach certificate. All the riding techniques taught by Can Akkaya and used by top riders on this planet- in MotoGP. 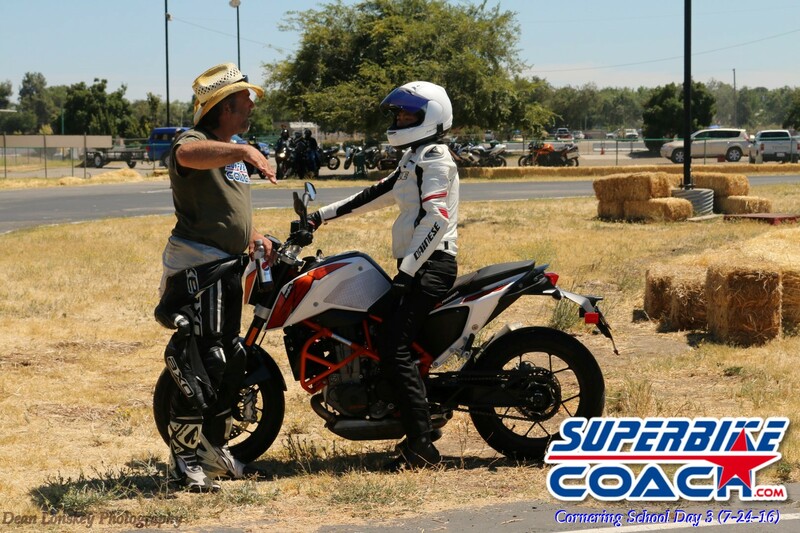 This class completes your street rider education with Superbike-Coach, but it also qualifies you to enter our all new CSD-4. Day 4 is for the more sophisticated rider to track day or even with racing ambitions, and who has graduated Superbike-Coach’s Cornering School program Day 1, 2, and 3. But don’t worry- even if track riding or racing isn’t your goal- this Day 4 isn’t that wrong for you anyway. It is more training with Coach Can Akkaya, and it kinda gives you a look behind the ‘racing curtain’. Always changing track layouts and passing all over the track puts you onto a challenging place. NEED A RENTAL BIKE?! We can help you out. Rent one of our pool bikes which are coming with gas, race tires, and transport. The fee is $190. A optional damage protection plan cost $85 (covers you to max $700 in damage, no matter how bad it is). Of course you can bring a cheaper 3rd party rental, but you won’t have that insurance, and no transportation to our track. Just opt it in the booking process.